Sale-a-bration 2019 is coming to a close, so if you haven't had a chance to earn these cute froggies for free, order today! This card is called a "Wiper Card". 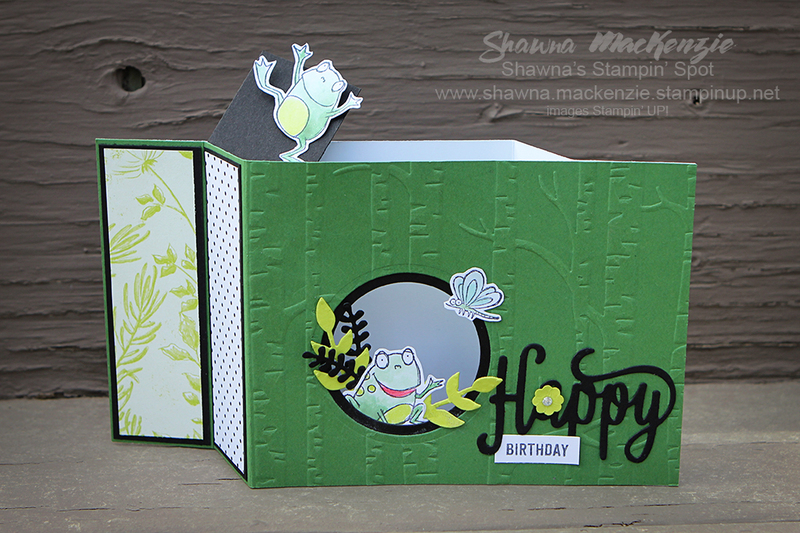 I first made one years ago, but I've been inspired lately by pop up cards I've seen posted online lately. 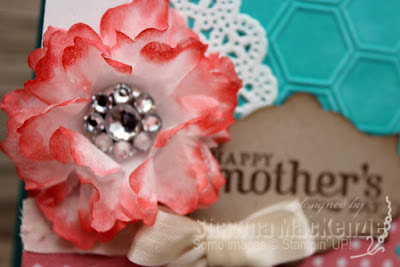 I had forgotten all about the technique, so I used the Splitcoaststampers Tutorial as a refresher. 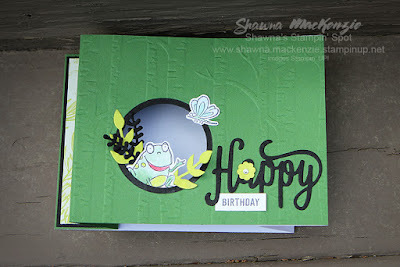 When you pull open the card, the frog pops up at the top. So cute! 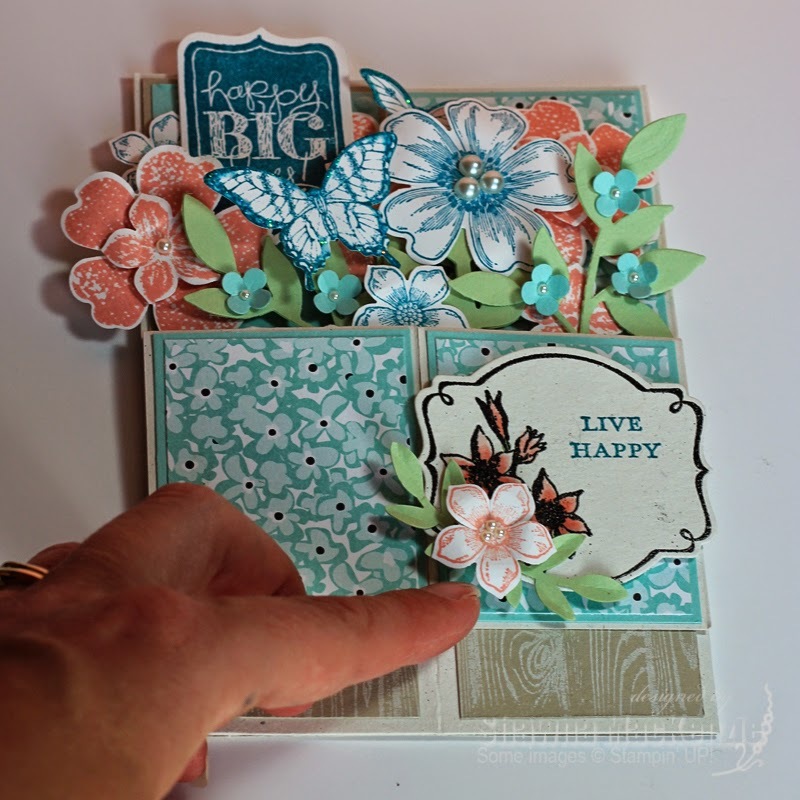 It's been awhile since I've scrapbooked, but the new Butterfly Gala Punch and Stamp Set from the Occasions Catalogue combined with the Botanical Butterfly Designer Series Paper from the Sale-a-bration brochure begged to be made into a layout! I'm pretty pleased with the results. 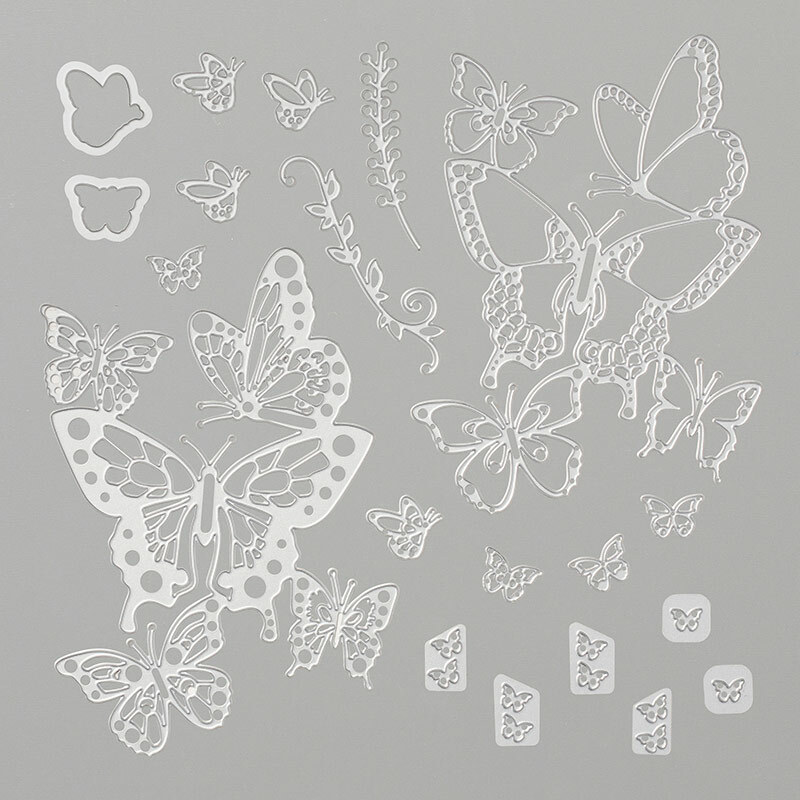 Lovely Lipstick Foil Butterflies - Beauty Abounds! Once again, it's been awhile and my blog has been sorely neglected. It's not that I don't make things. I just don't make things as often, and when I do, I don't find the time to take photos and post them. This week I am taking advantage of a week off work to spend a little time creating every day. Since I have time to create, I will make time to post too. Here's a simple start. My daughter received a Christmas gift in the pink box. 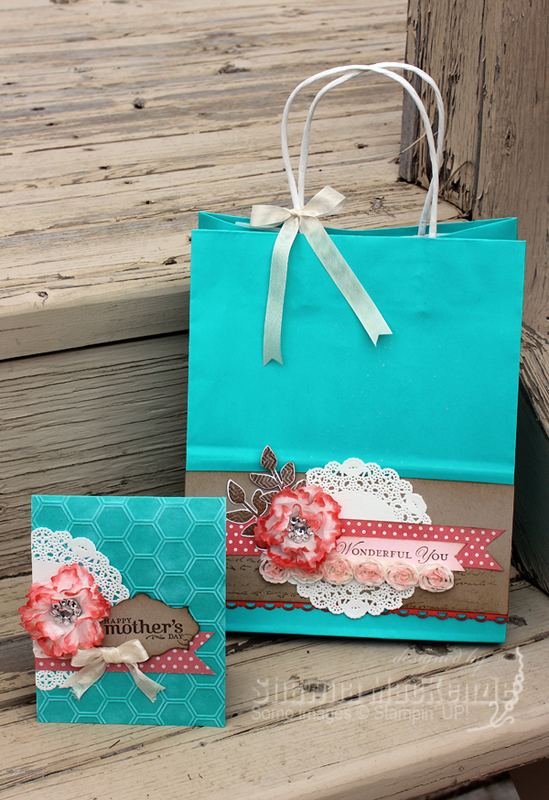 As I was about to recycle it, I decided to compare it to my cardstock to see whether or not it matched Stampin' UP! colours. 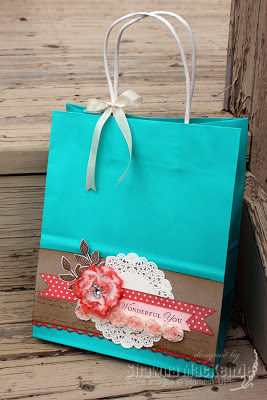 Yes, I routinely refrain from throwing things away because I "might" make them into a project someday. It's a bad habit, but in this case I actually turned it into something. 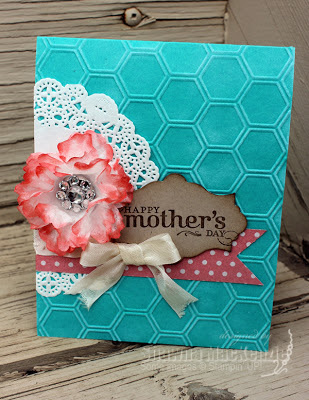 While it doesn't quite match the pinks in Stampin' UP! 's line of colours, it was a beautiful complement to the Lovely Lipstick Foil Sheets in the Sale-a-bration brochure. 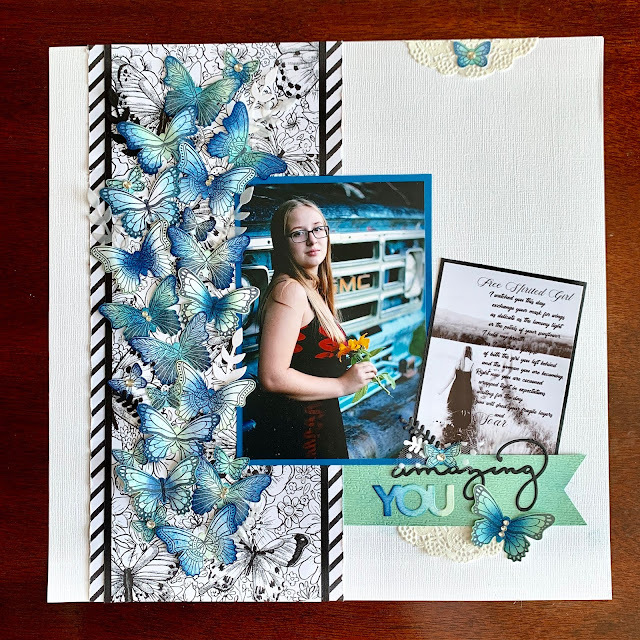 Paired with the absolutely gorgeous Beauty Abounds Bundle in the Occasions Catalogue, and the Botanical Butterfly Designer Series Paper in the Sale-a-bration brochure, the foil sheets add just the right amount of glam to something that would otherwise have been recycled! Wow - it's been a long time. Truthfully, I don't stamp as much as I used to. When I do, I do it for classes or clubs and rarely take the time to create for the simple act of creating and I seldom take the time to post what I have created when I do find those rare bursts of creativity. This project was inspired by the colour of the lantern and was a spin off of the card set that we made for our club meeting that month. 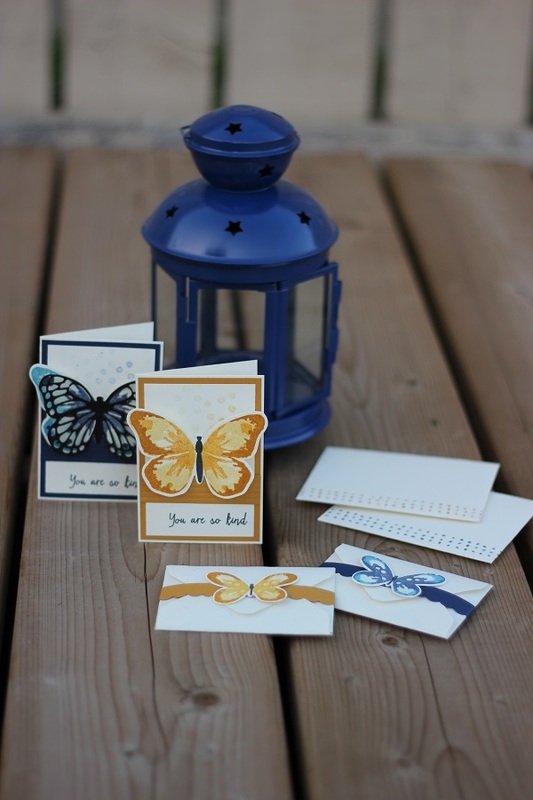 I made a small card set to fit inside and added a candle for a complete gift set. I have a few more projects that need to be done this summer, so hopefully I'll find my mojo again. Until then, thanks for looking! This project was a couple of years in the making (which explains all the retired product used!). 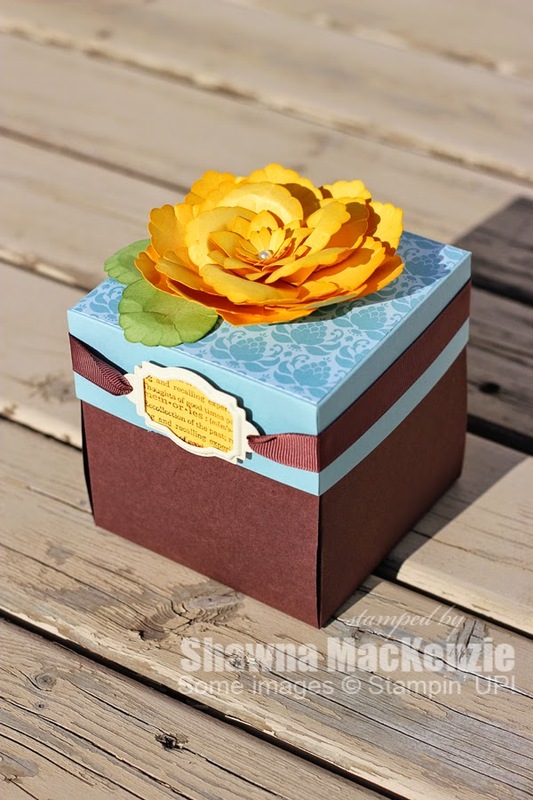 The basic box was part of a club project and I knew how I wanted to finish it, but it sat on my shelf waiting for the right time and reason to finish it. I found the reason for Mother's Day and sat down over the weekend to finally complete it. I'm quite pleased with the result. The box is easy to complete and requires only some scoring (at 4" on all four sides) and four cuts along the score lines. 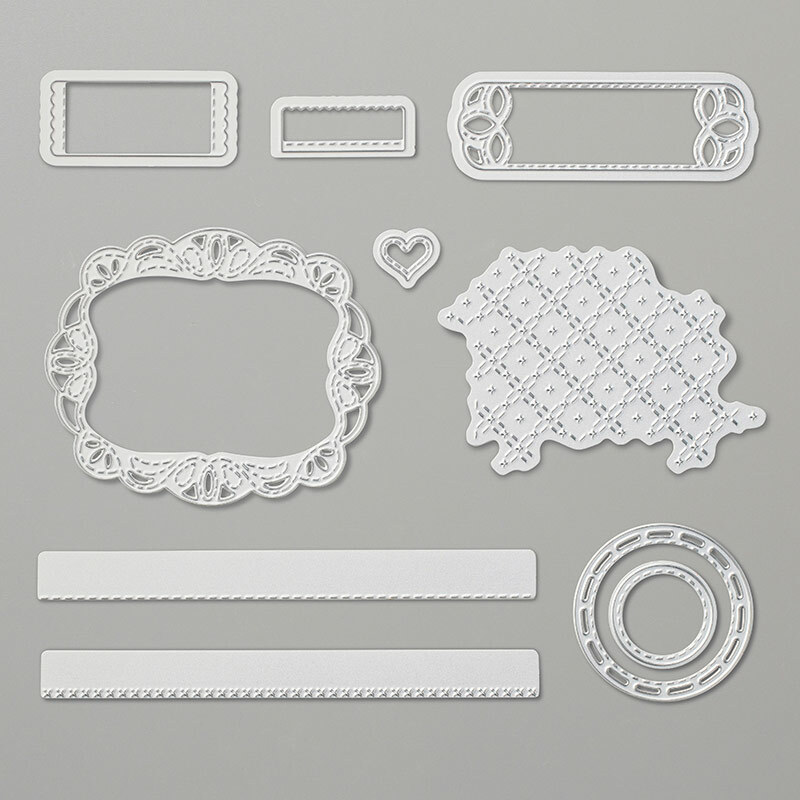 When everything is folded together the lid keeps everything in place. 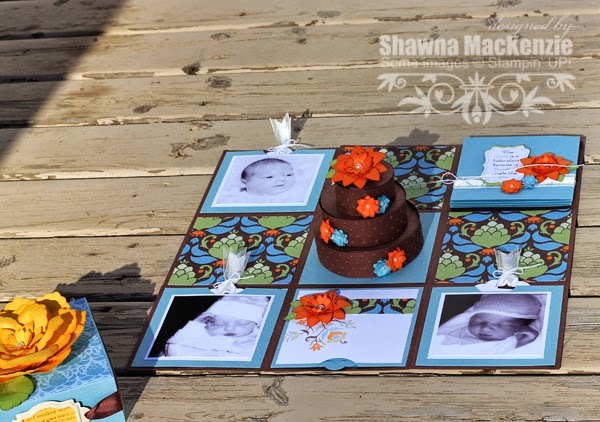 The Pop Up Cake Die is retired, but I still go back to it when I want a WOW card. 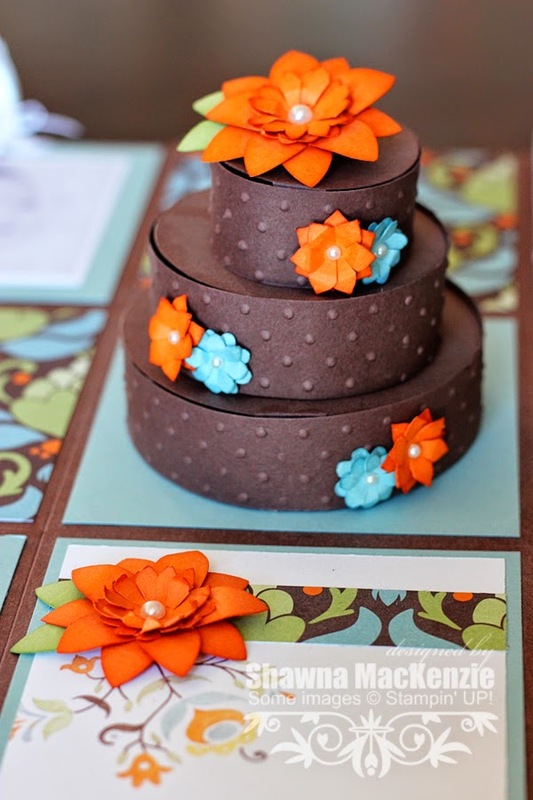 I used the (retired) five petal flower punch along with the Boho Blossoms punch to create the flowers on the cake and on the page. 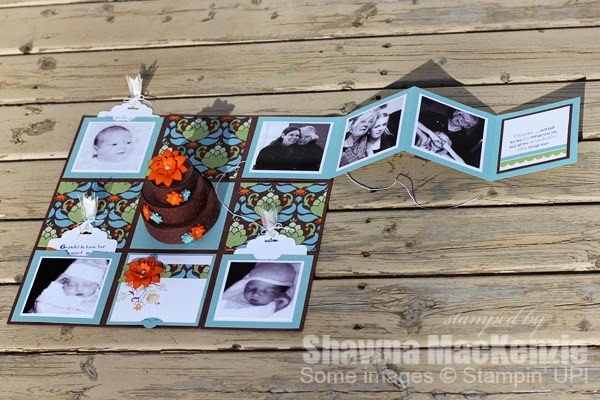 The panel on the top right ties shut, revealing an accordion folded mini book to hold current photos of my mom with me and each of her granddaughters. 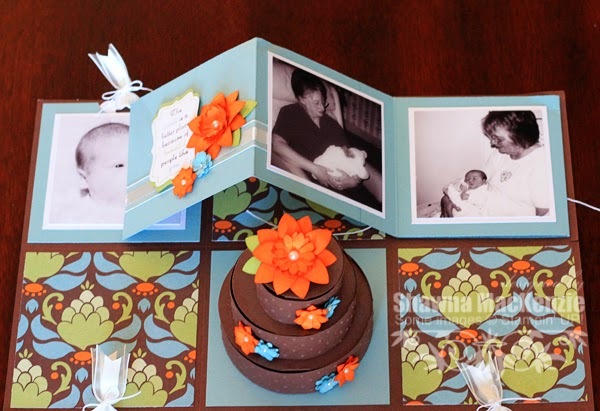 The back side of the mini book holds two more photos of my mom with each of her newborn granddaughters. 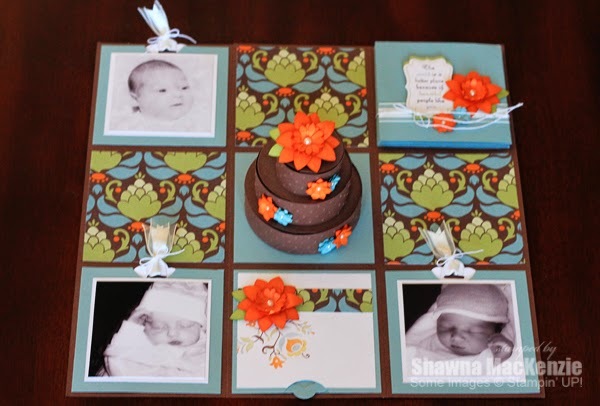 Finally, each of the baby photos conceals hidden journalling written by each of us telling Mom what she means to us. 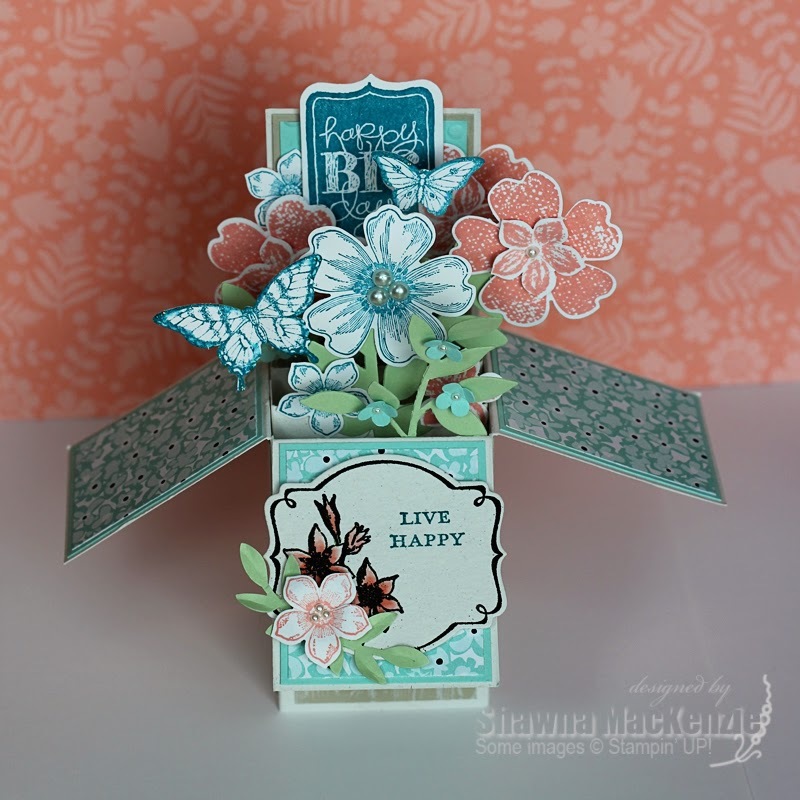 The flower on the top of the box was created using the Blossoms punch (and a couple others). I confess that I didn't love Bermuda Bay when it was part of the past in-color collection, and I didn't love Calypso Coral when it first came out, but I started playing with them together and I am now loving both colours! This set came about after I came home from a recent shopping trip with yet another bag from David's Tea. They look so much like gift bags, and I am a packrat by nature, so I hated to toss them into the recycle bin. This time I noticed that the bag was a very close match to Bermuda Bay, which is making a comeback with the new catalogue in June. 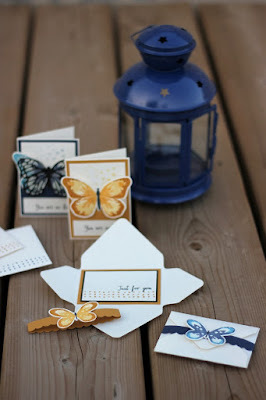 I pulled a piece of cardstock and discovered they're an exact match! I covered the logo and created a card to match and voila - a perfect Mother's Day gift ensemble! Spray each until the colour starts to run and set aside to dry. 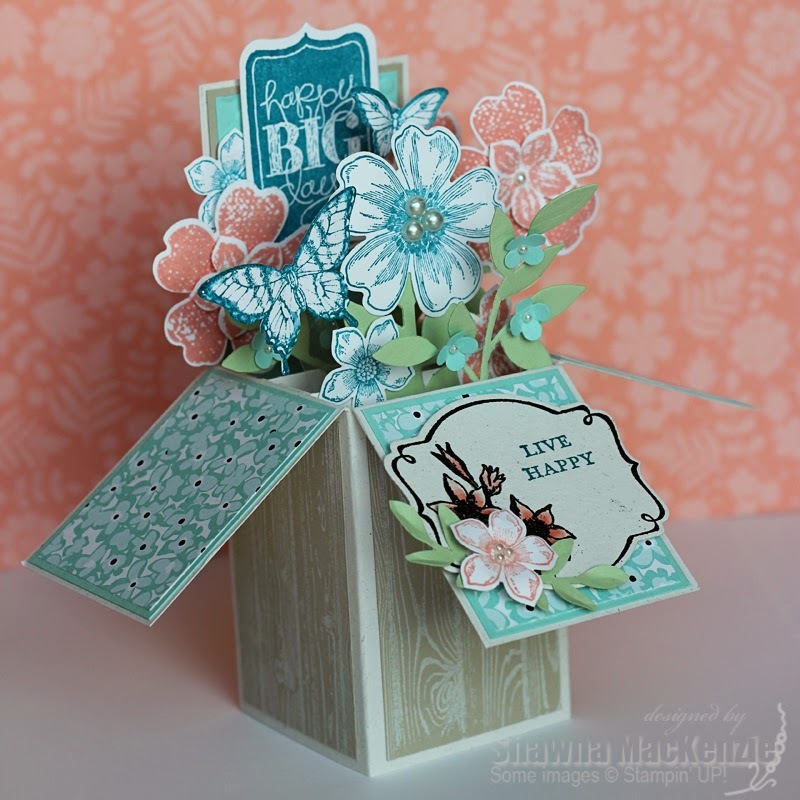 Stack the flowers and poke a brade through the centre. Crumple the flowers and position petals into place. To create the rhinestone brad I simply added rhinestones to a (retired) 5/8" brad - which are still available on the Clearance Rack. 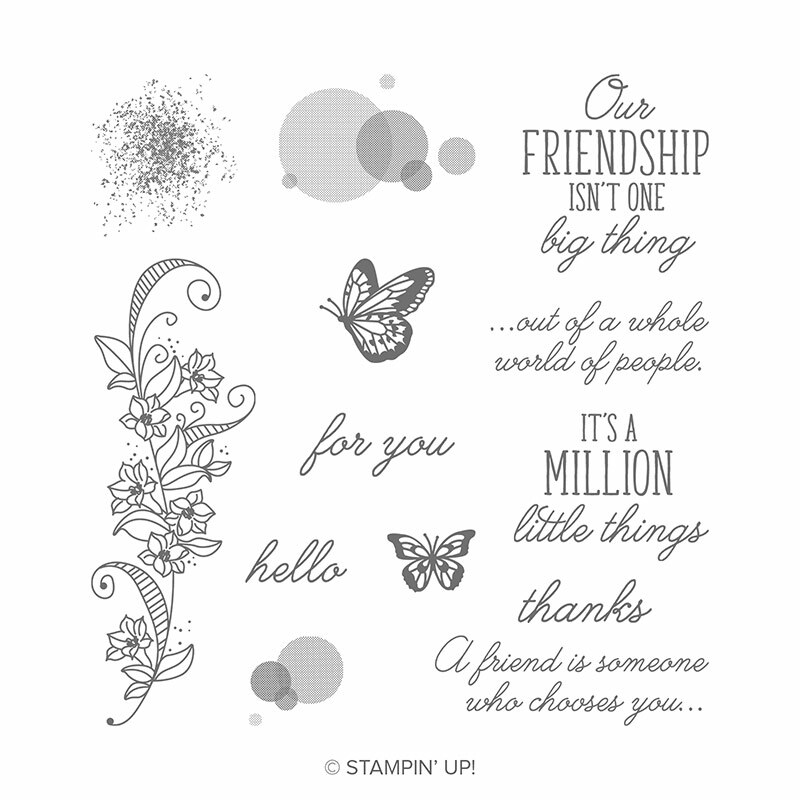 I am a wife, a mom of two girls, a high school teacher, and a Stampin' UP! Demonstrator. Yes, I am very busy!